A major winter storm is dumping snow, ice pellets, and freezing rain across southern Ontario, shutting down schools, closing offices and grounding flights. The same storm could dump up to 40 centimetres on Montreal and Ottawa overnight, while the Maritimes can expect a messy morning commute on Wednesday. Environment Canada has winter storm, freezing rain and snowfall warnings in effect for nearly all of southern and eastern Ontario, southern Quebec, New Brunswick, Nova Scotia and Prince Edward Island. A separate storm is expected to dump 15 to 25 centimetres on Metro Vancouver. That brings the total number of people under snowfall or winter storm alerts to more than 20 million, according to The Weather Network chief meteorologist Chris Scott. “This is peak winter across the country, really,” Scott told CTV News Channel. What's happening at home? See local storm coverage from CTV Windsor, CTV London, CTV Kitchener, CTV Toronto, CTV Barrie, CTV Ottawa, CTV Northern Ontario, CTV Montreal, CTV Vancouver and CTV Atlantic. 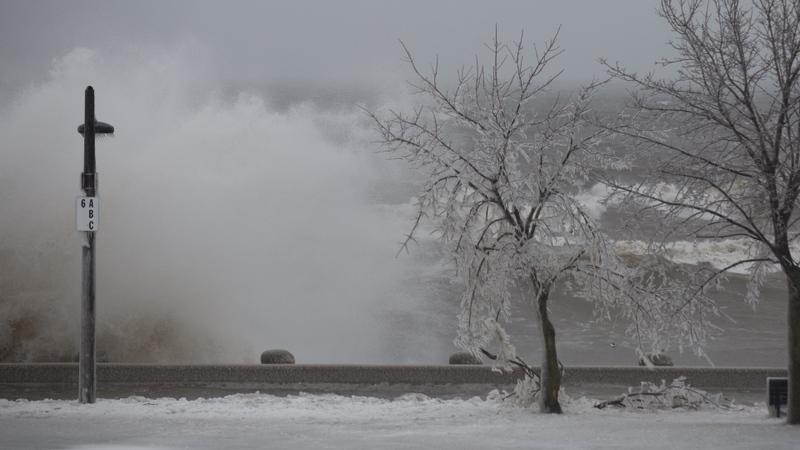 Southwestern Ontario was the first to be hit on Tuesday morning. London, Ont., faced freezing rain that continued through the afternoon commute. In Hamilton, Ont., the storm started out as snow in the morning and turned to freezing rain by noon. Ontario Provincial Police reported cars spinning out of control. In the Greater Toronto Area, a mix of snow and ice pellets snarled morning commutes. Environment Canada expects 15 to 20 cm of snow to accumulate in the GTA between Tuesday morning and into the early hours of Wednesday. Ontario Provincial Police Sgt. Kerry Schmidt said Tuesday morning that visibility was extremely limited on major highways around Toronto, and conditions were still deteriorating. “This is a work-at-home kind of day,” he told CTV News Channel. Ottawa International Airport was also facing cancellations. 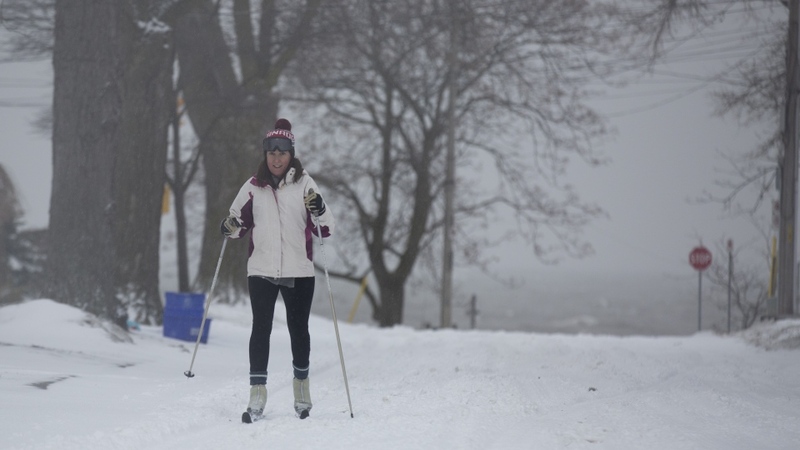 Environment Canada said up to 40 cm could fall in the capital by Wednesday afternoon. Cold weather was also expected to be a significant factor there, with an afternoon high of -11 C feeling more like -22 due to wind chill, creating the risk of frostbite. “Some advice for Ottawans: Leave work early,” Scott said. Montreal largely escaped the school closures and travel disruptions that dotted Ontario’s landscape on Tuesday. Scott said the situation would be different on Wednesday, predicting that Montreal would likely see cancellations then. Phillips said a prolonged warmup was likely still “several weeks away” for most of Canada. Scott agreed, saying that winter seemed to be “relatively locked in” across the country for another three weeks. “Whatever the groundhog said, ignore it,” Scott said.